Caffeine is found in many plants such as coffee beans, tea leaves, cocoa pods and kola nuts. It is a natural substance which can also be produced synthetically. Caffeine is added in many beverages and food items, and is also a part of many over-the-counter and prescription medicines. It has become an essential part of our daily lives, but there are certain long term effects of caffeine use. Caffeine is a diuretic which can increase the amount of fluid removed from the body. This can cause dehydration. When the body is dehydrated, the organs cannot function efficiently, thus causing problems all over the body. Caffeine is a stimulant and it can increase the heart rate. If you take excess caffeine, you are likely to have a fast pulse. When the heart beats very fast for a long time, it can get damaged. There can be tiredness and a feeling of exhaustion as a result. When the heart rate increases, the blood pressure gets elevated as well. One of the most common long term effects of caffeine consumption in excess is elevated systolic and diastolic blood pressure. Caffeine is a stimulant and can make insomnia worse. It keeps you awake and alert, which makes it hard to go to sleep. People who consume a lot of caffeine during the day are likely to toss and turn in bed at night. Caffeine increases acidity and can irritate a peptic ulcer. Symptoms of the peptic ulcer include feeling of bloating, heartburn, stomach pain and nausea. These symptoms can aggravate with long term caffeine use. Caffeine interferes with moods and its usage can result in spikes and dips in energy levels. Long term and excessive consumption of caffeine can cause mood disorders like depression and nervousness. Consuming caffeine for a long time can also lead to anxiety and a jittery feeling. A transient or long term headache can result from excessive and long term caffeine intake. Caffeine stimulates the nervous system, which can cause headaches. Sometimes headache is experienced as a withdrawal symptom when you cut back on caffeine consumption. Excessive and long term caffeine intake can result in addiction. It is one of the most commonly experienced long term effects of caffeine. The body becomes dependant on the regular caffeine consumption and withdrawal symptoms appear when it doesn’t get the caffeine fix. Caffeine can cross the placental barrier and reach the blood circulation of the fetus. When pregnant women consume excessive caffeine, the baby can have a very fast heart rate. This can increase the risk of miscarriage and can lead to slow development and growth retardation. Caffeine intake is also known to increase the incidence of painful lump formation in breasts, which is also known as fibrocystic disease. Caffeine reduces calcium absorption and interferes with the calcium metabolism. This can cause low calcium levels which can result in brittle bones or osteoporosis. How Much Caffeine Can You Consume Without Adverse Effects? For Adults: Adults can have 300-400 mg of caffeine daily without experiencing any side effects. For Children Under 12: Caffeine is not recommended for children. An occasional treat of caffeinated drink is allowed, and the amount of caffeine should not exceed 45mg per day. It is better to not give caffeinated foods to kids as a routine. For Teenagers (13-18): At this time, the body is developing and for proper growth, sleep is important. The caffeine intake should not be more than 100 mg per day for this age group. People with heart conditions: Caffeine can increase heart rate and blood pressure. People having heart disease, irregular heart beat (arrhythmias), murmurs or high blood pressure should have limited caffeine intake and should not consume more than 200 mg of caffeine daily. If you suffer from any heart disease, it is better to discuss with your doctor regarding how much caffeine you can take every day. People with type 2 diabetes: Caffeine can interfere with glucose metabolism in diabetics and people with type 2 diabetes should not take more than 200 mg of caffeine every day. Pregnant and nursing mothers: It is better to limit caffeine intake to less than 200 mg every day during pregnancy and while nursing to avoid any bad effects on the baby. Vitamin B plays a vital role in energy production. Its deficiency can cause poor concentration and feelings of lethargy and fatigue. Vitamins B6 and B12 help to maintain the strength and integrity of cell membranes, and B12 is also required for red cell production. 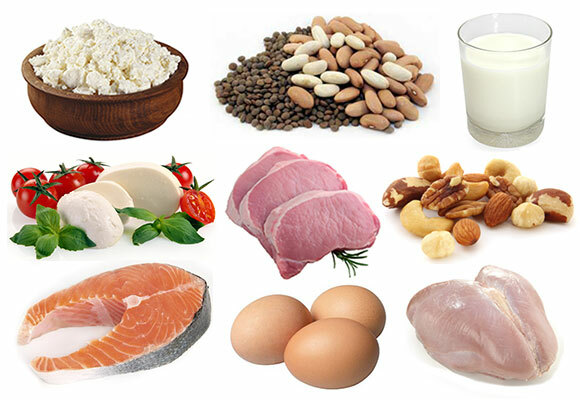 Foods rich in vitamin B like lean meat, eggs, nuts, seeds and fortified grains should be incorporated in daily diet. These can reduce the urge to have a caffeinated drink for a quick energy boost. 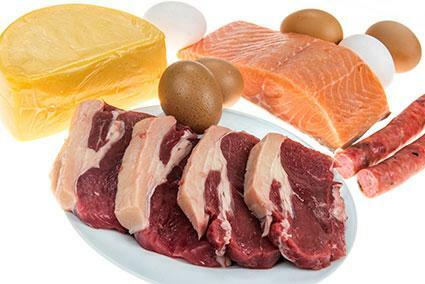 Having a protein-rich diet can give you a lot of energy, improve your concentration and elevate your mood. Have a protein-rich breakfast and you will not need a caffeine boost in the morning. To beat an evening slump, try having a handful of seeds or some chicken wrap made with whole wheat tortilla, instead of drinking a cup of coffee or tea. If you are trying to avoid these long term effects of caffeine, include protein-rich foods like eggs, fish, meat, nuts, whole wheat products and low fat dairy products in your diet. We often grab a cup of coffee or tea to get instant energy and to beat the feeling of tiredness. This tiredness can be a result of dehydration and taking caffeine will only make it worse. When you feel the lack of energy, get a glass of water and drink it. 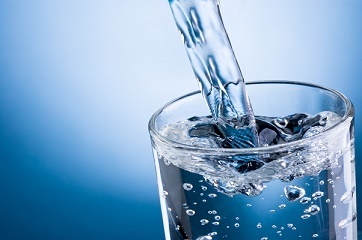 Keep yourself well hydrated and drink plenty of water to feel energetic and alert. There are many herbs which can make you more alert and can boost your energy levels. 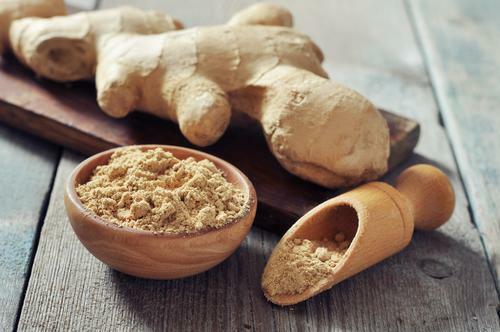 Ginseng, cayenne pepper, ginger root, purple pillow bark and ashwagandha are a few examples. Some of these are also added to energy boosting drinks. The use of these herbs in moderation and after discussing with your doctor can provide a better alternative to caffeine.